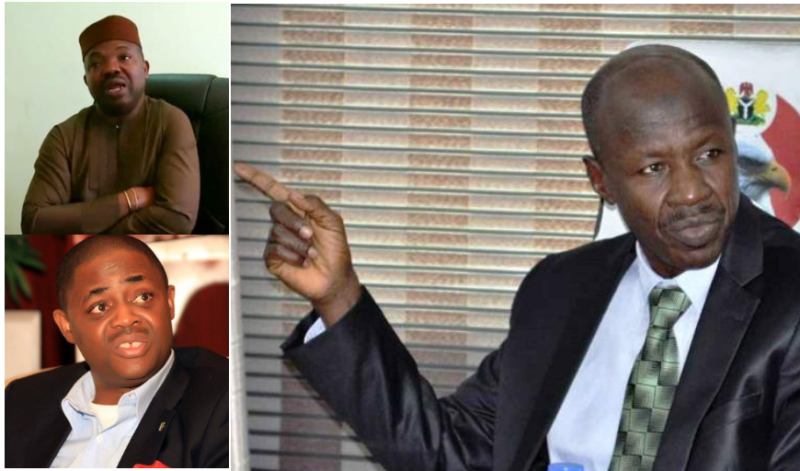 The Acting Economic and Financial Crimes Commission (EFCC) Mr Ibrahim Magu has boldly stated that nothing will make the commission not to arrest the duo of Fani Kayode and Yinka Odumakin today. The Chairman made the statement through the Acting Spokesperson of the body, Tony Orilade when he was speaking during the Online Publishers Association of Nigeria (OPAN) conference in Abuja today. He was responding to a question on why the EFCC arrested Usman Abubakar of Abusidiqu.com and kept them in his facility. Magu noted that they will arrest the duo of them for posting on social media that they laid siege on the Chief Judge of Nigeria (CJN) yesterday night which turned out not to be true. “We will arrest them and keep them. If they refuse to talk, do you expect us to release them? No, we will keep them. And if they still refuse to talk, we will get a court order to keep them”, he stated.